This LED upgrade is the brightest available for the 3 D and 3C cell Maglite currently available in Europe. 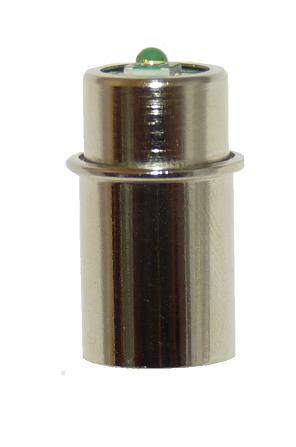 It is designed to snugly fit the Maglite bulb holder for excellent heat dissapation. This bulb will transform your Maglite into a high performance, reliable, energy efficient torch saving you ££'s. A perfect choice for professionals. 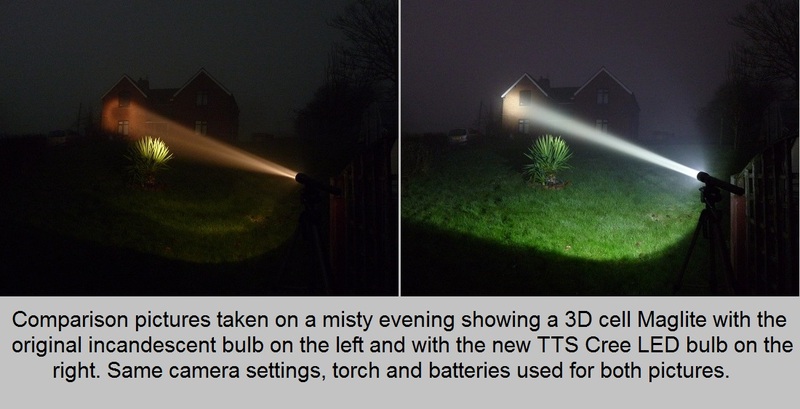 • Utilises the premium performance 300 Lumen 3 Watt CREE XP-G2 S4 LED. • Never burns out - an incredible 50,000 hour life expectancy (6 years of constant use!) You'll never have to replace your bulb again.